At least on paper, the City of Cupertino is meeting its state-mandated housing allocation goals thanks to some major projects, according to a report headed to the California Department of Housing and Community Development. The City Council reviewed the annual Housing Element progress report during its meeting on March 19. The Housing Element requires state jurisdictions to plan every eight years for more housing in the city. This effort leads to the Regional Housing Needs Allocation, a targeted number of housing units in cities at varying affordability levels. According to a report given to the council by City Senior Planner Kerri Heusler, the City’s RHNA goal is 1,064 new units. The City says it has “far exceeded” its RHNA obligation to date in three of the four housing unit affordability categories. These categories include: extremely low/very-low income, low-income, moderate-income, and above-moderate income units. Cupertino is meeting these targets on the backs of major housing development projects that have been entitled by the City, but not yet built. The report includes the Vallco Town Center project, which alone will yield 2,402 units, half of which would be reserved for extremely low/very-low income levels. Demolition on portions of the mall recently began to make way for the development, which was approved in September without City Council review through new legislation called SB35. The Vallco project has been the subject of the City Council’s Housing Element planning for many years, though it remains unclear if all units at Vallco Town Center will house residents before the next Housing Element eight-year planning cycle. Additional entitled projects that have not yet been built include units at The Hamptons apartment complex and a project at the site of Marina Foods. Those projects would yield 600 and 188 units, respectively. Combined with the Vallco project, this totals to 3,190 units. Heusler told the council that the only type of units that have not been fully entitled to meet RHNA goals are moderate income units, of which another 140 are needed. Many of the moderate income units that have been entitled are accessory dwelling units, Heusler said. 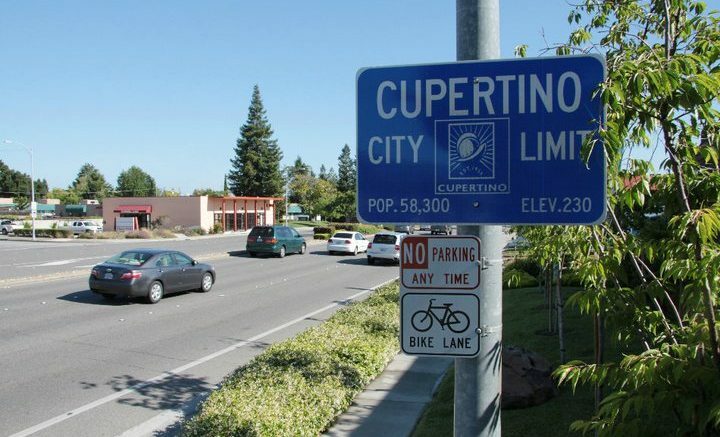 Cupertino’s most recent Housing Element was adopted in 2015. Each jurisdiction must prepare an annual progress report on the status and progress in implementing its Housing Element. The report is due April 1. 3 Comments on "Major housing projects contributing to City’s state targets, according to report"
This headline is misleading. The state is looking for actual production, not entitlements which may never get built. The RHNA numbers are dreadful – only 19 units under construction out of 356 units. Cupertino has “entitled” the Hamptons and Marina, but neither one has pulled building permits to put “shovels in the ground”. Vallco and the Oaks housing have been blocked. Bottom line, Cupertino is NOT contributing to solving the housing crisis. Cupertino was scammed by the state housing agency, HCD in the RHNA numbers. Cities in southern California (SCAG) had reduced RHNA numbers. HCD required only 2 low income houses/units to be built by each of these cities: Beverly Hills, Newport Beach, Malibu, Laguna Beach, Costa Mesa, Hermosa Beach, and Compton. Why isn’t Cupertino suing HCD for unfair, unjust, and unequal distribution of RHNA numbers? The state housing law is a scam.